“…His Mozart reminded us of Grumiaux in terms of excellent taste and cantelina playing and his Tzigane took us back to Hirschhorn in his prime….” (Heather Kurzbauer, Strad Magazine, following the Oscar Back Competition Netherlands 2007). 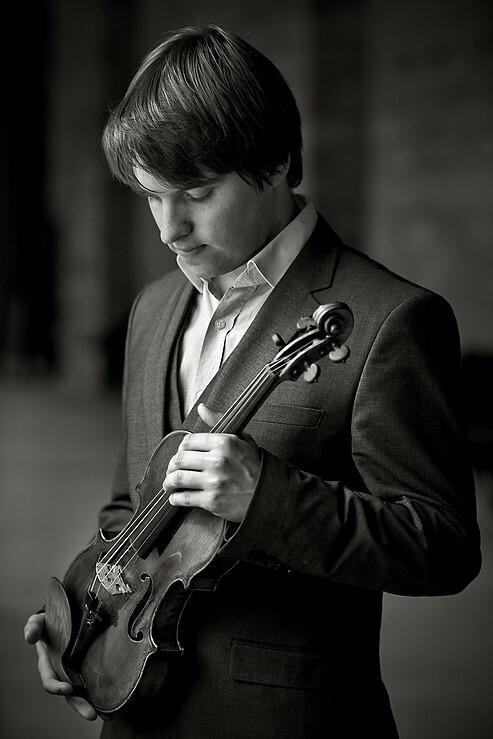 Dutch violinist Mathieu van Bellen (1988, Hulst, Netherlands), recent winner of the Amsterdam Grachtenfestivalprijs 2015, is a prize winner and finalist of various (inter)national competitions, such as the Yehudi Menuhin Competition/London, Wieniawski Competition/Poland, Prinses Christina Competition and Oskar Back Competition, both in The Netherlands. He also was awarded the Bach Prize and the String Player of the Year 2008 at the Royal College of Music and is a recipient of the Emily Anderson Prize of The Royal Philharmonic Society/London, Philharmonia Martin Musical Scholarship Fund Awards and Making Music Awards. 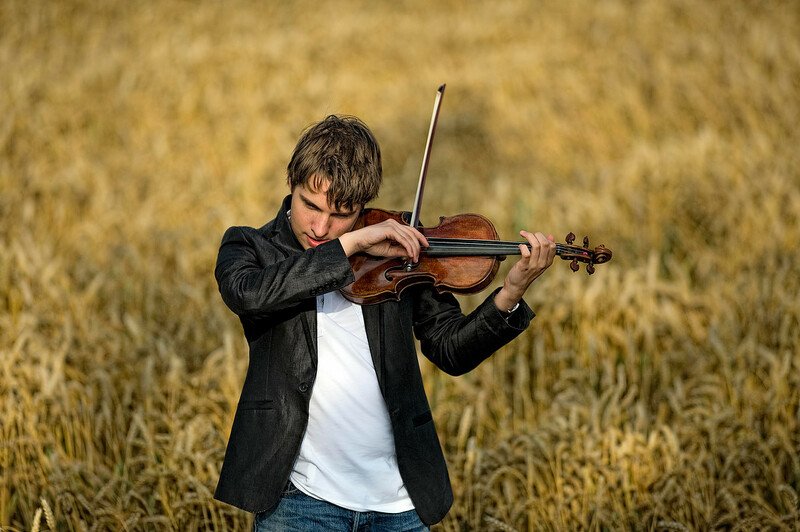 Mathieu has performed in Europe, Asia and the US, playing in major European chamber music festivals like Mecklenburg Vorpommern in Germany and Musiq3-Flagey and Midi-Minimes in Brussels. He has appeared several times on television and radio, and has performed in London’s Wigmore Hall, Purcell Room-Southbank Centre and Royal Festival Hall, and in other major venues like Concertgebouw/Amsterdam, Tel Aviv Opera House, BOZAR/Brussels, NCPA/Beijing and Megaron/Athens, performing with orchestras such as the National Orchestra of Belgium, Het Gelders Orkest, Holland Symfonia, Het Zeeuws Orkest, Southbank Sinfonia and Camerata Athena. He worked with conductors such as Ivan Meylemans, Jan Willem de Vriend, Jacob Slagter and Nikolai Alexeev. In 2014 he acted as concert master of the European Union Youth Orchestra, working with Vasily Petrenko and Vladimir Ashkenazy. n 2015 Mathieu was the winner of the Amsterdam Grachtenfestival Prize, resulting in an artist residency during the August 2016 Grachtenfestival. Further highlights for season 2016-2017 were: performing Benjamin Britten’s Violin Concerto with the Zeeuws Orkest, under the baton of maestro Ivan Meijlemans and playing Wieniavski’s Violin Concerto under maestro Jacob Slagter. Furthermore he made an extensive tour as a soloist with the Netherlands Student Orchestra (NSO) directed by Jurjen Hempel, playing Toru Takemitsu’s work Far Calls. Coming, Far!, which he performed in 10 major Dutch concert halls, among them Concertgebouw/Amsterdam, Doelen/Rotterdam and Vereeniging/Nijmegen. Another highlight was his appearance in the series ‘Young Dutch musicians’ in the Kleine Zaal of the Amsterdam Concertgebouw. Violinist of the Busch Piano Trio, Mathieu is an active chamber musician, having played chamber music concerts with artists like Shlomo Mintz, Miguel da Silva and Michael Collins. He is the founder of Scaldis Festival, his own chamber music festival which takes place in Zeeland, Netherlands. From season 2017/18 onwards Mathieu will be the artistic director of Het Reizend MuziekGezelschap, taking over the lead from Dutch violinist Christian Bor. Mathieu began playing the violin in Belgium with Nico Baltussen. He continued his studies with Jan Repko, first at the Amsterdam Conservatorium and later at the Chethams School of Music in Manchester, for which he was awarded a scholarship by The VandenEnde Foundation. He completed his undergraduate studies at the Royal College of Music in London with Itzhak Rashkovsky and finished his Masters at the Hochschule für Musik in Berlin, with Ulf Wallin, both with the highest marks. Mathieu’s first CD was released in November 2014, containing solo works by Bach, Blaha and Bartók. His newest release is the Britten Violin Concerto with Het Zeeuws Orkest, under maestro Ivan Meylemans. Mathieu plays on the ex-Adolf Busch G.B. Guadagnini violin (Turin, 1783), as well as with a Dominique Peccatte bow, both on loan to him thanks to private sponsorship, for which he is most grateful.